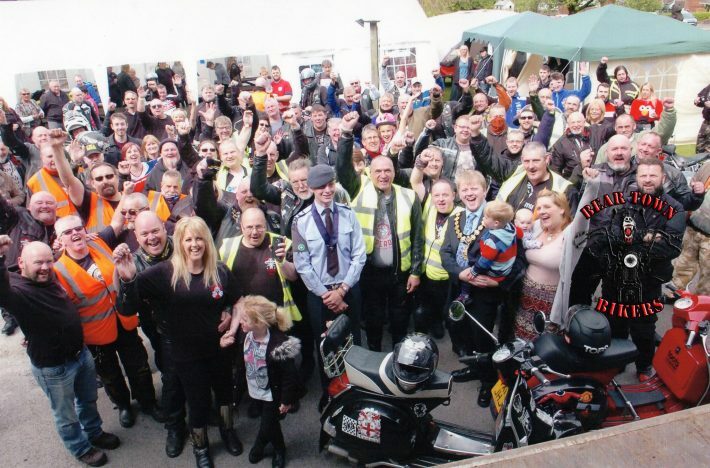 Beartown Bikers (BTB) are a motorcycle club based in Cheshire, welcoming all bikers to join them. The whole purpose of the club is to meet people who love motorcycling and are interested in taking part in ride outs and social events. There’s always lots of charity events booked in the events calander as the members of BTB like to do their bit to raise money and awareness for local and national charities and good causes. Their Facebook page is always updated with upcoming events, sharing bikers stories and much more. Give them a ‘like’ to find out what’s going on! Beartown Bikers meet every Wednesday at the Church House Public House, Congleton at 8pm.